A simple, modern design allows the unique finish on the this collection to be the star. Combined with solid wood construction and dramatic silhouettes, these pieces will be focal points in any room in which they sit. Tasteful distressing and subtle finish variations should be expected and enjoyed. The Mulholland Sofa Table by Jofran at Red Knot in the Oahu, Honolulu, Kapolei, Pearlridge, Salt Lake, Hawaii area. Product availability may vary. Contact us for the most current availability on this product. 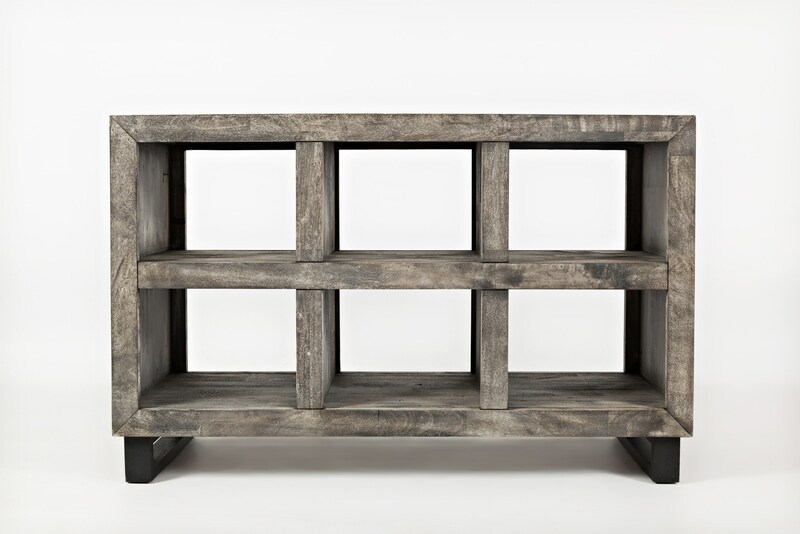 Storage Cube Dimensions: 12.75" x 18" x 9.75"
Browse other items in the Mulholland collection from Red Knot in the Oahu, Honolulu, Kapolei, Pearlridge, Salt Lake, Hawaii area.